Deputy of the Odessa regional council from party «Homeland» , at war from last year on the party of terrorists I told as it I took prisoner of the Ukrainian military and I accused the shelf "Azov" in marauding. In addition it rose in defense fluent ex-the president Yanukovych. Reported to one of about this Savenkothe Internet - the resources supporting terrorists. So, deputy of the Odessa regional council from party «Homeland» , head of group of separatists «Matchmaker» Vadim Savenko told that is the professional member of spetsnaz and together with the adherents arrived to Donbass to the Demon (Igor Bezler, - an edition) to Gorlovka. Savenko also bragged of that his first prisoners were from the Ukrainian regiment of special troops in which it served earlier. - They were from my native regiment of special troops. I if it is so possible to be expressed, protected them from infringement of their honor and advantage. They could be shot down, but them eventually, exchanged for the (fighters, - an edition), - the Matchmaker reported. According to the deputy, the outlet to the sea therefore they also began approach to the south, to the Sea of Azov was necessary for fighters. -Here we also punched this exit. We did march on tanks. There was at us also a mobile equipment. Certain artillery systems. Borrowed Shcherbak, the first village, to the north of Novoazovsk. It is closer to border to Russia. Crushed frontier post. There, on - to mine, there was the Ternopol territorial defense (a battalion—edition). Took big trophies: 50 machine guns, sniper rifles, heap of ammunition. 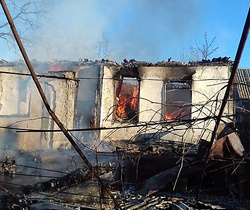 Burned armored personnel carriers and the bus, - Savenko told. Also he accused the Ukrainian military that they allegedly in Novoazovsk bespredelnichal, and reported that all law enforcement authorities, except for heads, came over to the side of terrorists. - About 30 frontier guards came over to the side of "DNR". They and remained then boundary guards, - Savenko assured. 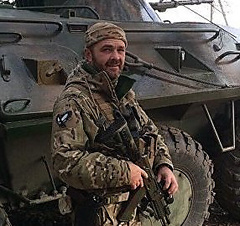 The fighter claims that at the moment the level of proficiency of fighters of "DNR" and "LPR" got army parameters, and he accused the Ukrainian army of nonprofessionalism and of marauding. - Among even an average link of the Ukrainian officers war became some kind of business. 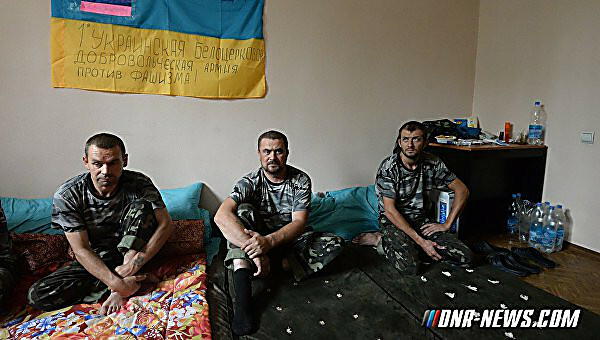 At the Ukrainian army the local population has no support. At fighters low morally - fighting qualities. Mobilized aren't ready to be at war with us. And voluntary battalions—these are the first marauders. They after all are used as blocking detachments, - the fighter declared. Also he told the Internet - to the edition that the certain captivated military the shelf "Azov" told it that he entered a battalion because "give out therethe beautiful form" can also be "maroderit". - Here in this area, and here «to maroderit» it is impossible, because here other company «maroderit». And still I told, you want trust, you want isn't present that they, as the real Spartans to become each other sworn brothers, the man with the man…well, generally, you understood. The normal man won't be engaged in such. It isn't necessary for it to have sworn brothers, - the fighter Savenko told. Also Savenko accused a certain association of criminals which according to him, under the guise of "militia" was engaged "makhnovshchiyny and gangsterism". Concerning the Minsk arrangements, Vadim Savenko reported that behind Ukraine stands 30 million population and regular armed forces therefore terrorists need a truce. - The truce is necessary for Novorossiya qualitatively to improve a condition of armed forces. 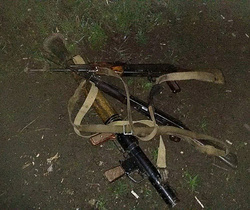 Besides it is necessary that also the civilians have a rest, - the fighter summed up. Also "Matchmaker" became on protection of the fluent President of Ukraine Victor Yanukovych and accused of all the present power of Ukraine. 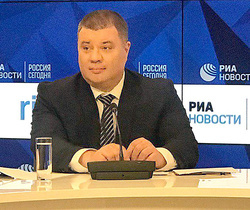 We will remind that the deputy of the Odessa regional council from party «Homeland» , head of group of separatists «Matchmaker» Vadim Savenko goes to Moscow behind money for the organization terrorist attacks and delivery «salaries» to fighters. Also earlier it was reported that behind the organization of act of terrorism on a post in Mariupol and attack Ukrainian boundary boats in the Sea of Azov are costed by division «Matchmaker». All rights reserved by legislation of Ukraine and belong to the IA "Ukrainian Media Group". The product information Agency is his property. The right of ownership is protected by current legislation of Ukraine. Article 26 of the law of Ukraine "On information agencies"). Publication and dissemination of the content of the materials posted on the website Prestupnosti.net (in whatever form and by whatever technical means it has not carried out) without the written consent of the rightholder and reference to the source is prohibited.